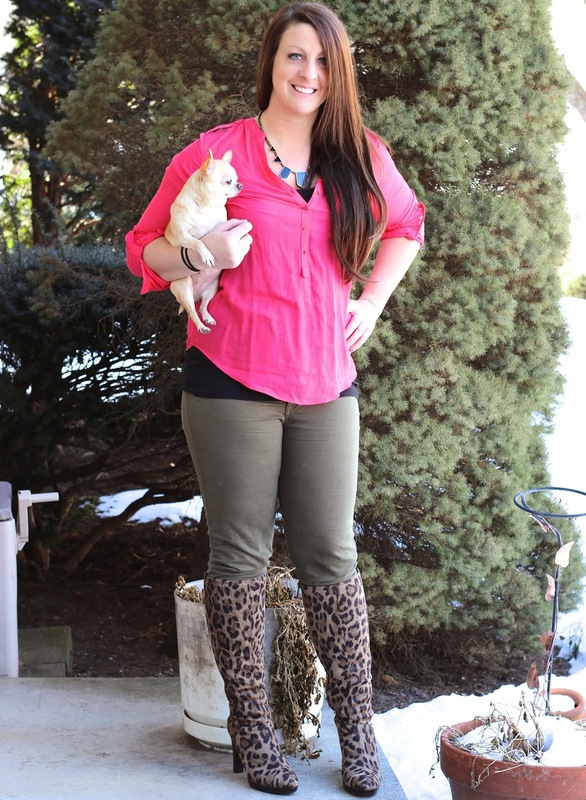 Lately I'm just lovin' my leopard boots. So Pixie and I decided to strut them around outside for some photos. 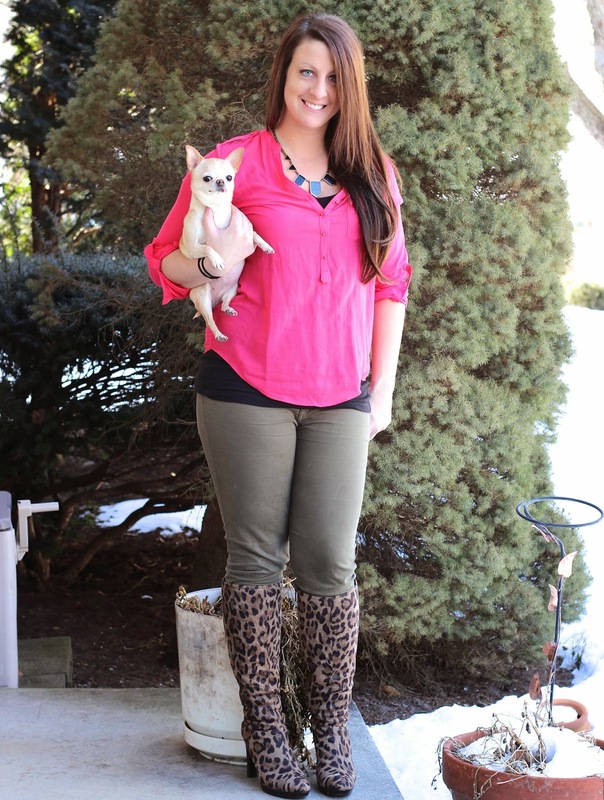 Pants - The Mint Julep Boutique | Boots - Impo Footwear | Top - Zara | Necklace - Romwe.